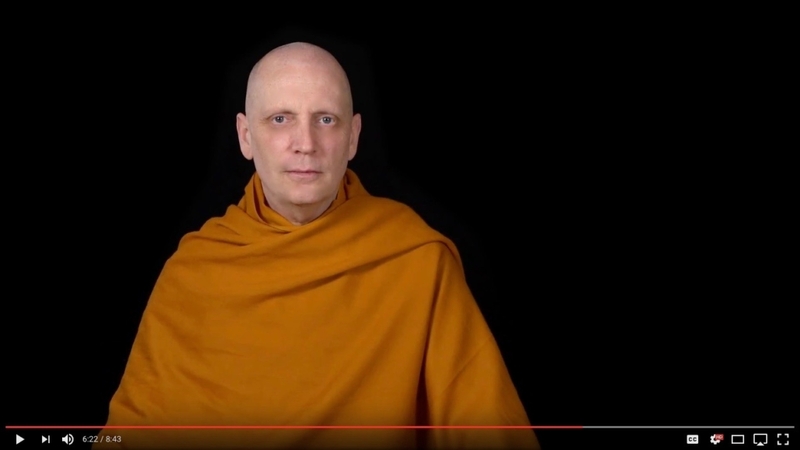 Ajahn Sona’s decision to shift his teaching schedule exclusively to Birken has altered the direction of our Dhamma outreach. In keeping with his commitment to offer more videos on his YouTube Channel, last week we launched the first of dozens of new talks that will be posted to YouTube in the coming years. This series of short talks will cover many aspects of meditation and Buddhism, focusing in particular on attitudes and techniques which give emotional benefit to the contemporary person. Parts one and two of the new series on Breath Meditation have now been posted. The remainder of this series will be uploaded in the coming weeks with new series being launched throughout the year. May you will find them rich and rewarding to your practice. Please feel free to share them with your friends and family. Bringing these new high quality videos to a broader global audience has involved a tremendous investment in time and money to find the highest quality camera, lighting, software, and video equipment. We will be adding a donation feature to our YouTube Channel in the near future as well. If you would like to support our continuing efforts in bringing the Dhamma to more and more people through new avenues of the media, please consider making a contribution to this noble endeavour.